Leviathan arrives in the USA at last, in the form of The Book of Leviathan, published by Overlook Press. Everyone who is serious about exploring the more far-flung and adventurous realms of comics, enjoys graphic intellectual stimulation, or appreciates a healthy sense of the absurd has an excellent chance of finding what they are looking for in The Book of Leviathan. This is a truly one-of-a-kind item. The Book of the Leviathan employs a wry wit with dextrous aplomb at every turn. Right from the initial impression -- the overall book design, with its ruby edged pages, making it resemble a accountant's ledger -- the reader is put in the position of having to ask questions, such as, in this case, "What exactly are we keeping track of here? ", and then later, once we've gone a few pages into the book, "What, in our lives and most especially in our early, childhood years, goes into the plus columns and what goes into the minus?" and, finally, "Will it all add up in the end?" 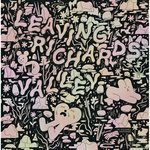 Most readers confronting Blegvad's work for the first time will find themselves mysteriously compelled to grab the first person who happens by to share their enthusiasm: "Hey! This is really different. I don't think I've ever read anything quite like this before." Some readers may find themselves somewhat unsettled at first, if only from the sheer unfamiliarity of Blegvad's narrative strategies. In the end, however, all readers that prevail will come away from The Book of Leviathan with a deepened appreciation for the unknown corners of our lives, and a sense, finally, of the ultimate incomprehensibility of being. The Ganzfeld is a true one-of-a-kind publication and #3 is by far the best issue yet. It shouldn't really be under the comics listing, but as it is truly uncategorizable, this is as good a spot as any. The editors once again bring together a unique group of designers, illustrators, cartoonists, and artists in a coherent, strongly designed format. It features a unique collaboration between Rick Moody and Fred Tomaselli; a new picture story by designer Geoff McFetridge, and even an illustrated essay by Alfred Hitchcock. Lengthy comics and picture stories are contributed by an international group, Renée French, Ron Rege, Jr., Blexbolex, Brian Ralph. The major highlight of the book is Peter Blegvad's contribution: a highly innovative piece that is a stellar work of genius. Really, it's that good. No one compares to Blegvad. He's in a class by himself here. (If you aren't familiar with Peter Blegvad's work, do yourself a favor and check out The Book of Leviathan.) 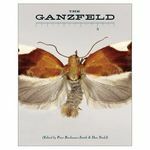 The Ganzfeld #3 also puts the spotlight on history: profiles include the inventor of the Macy's Parade Balloons; a special 40-page section devoted to the art collective The Hairy Who, and articles on Bruegel and deep space photography. Also: humorous picture stories on color theory, where we go when we die, and the lost genre of blank books. And much more, all bound together and accentuated by impeccable graphic design. We haven't written about The Believer in a while, but there was no way we could let this go without throwing it your way. This is by far the most comics-centric issue yet, and it's a must! First off, there is the amazing Charles Burns cover that celebrates Chris Ware's interview of Jerry Moriarty, the latter of whom, in turn, contributes a gigantic, removable, fold-out poster of a Jack Survives page. Then there are the additional interviews with Aline Kominsky-Crumb, and the one-and-only Peter Blegvad! On top of this add a historical overview of the life and career of Morrie Turner, the creator of Wee Pals, the first nationally syndicated "comic strip of color." And, if that weren't already enough, this issue features the debut of the all-new Comics page, edited by Alvin Buenaventura and featuring full color comics by the likes of Anders Nilsen, Ron Regé, Jr., Tom Gauld, Leif Goldberg, Lisa Hanawalt, Charles Burns, Lilli Carré and Al Columbia. A keeper, we'd say.